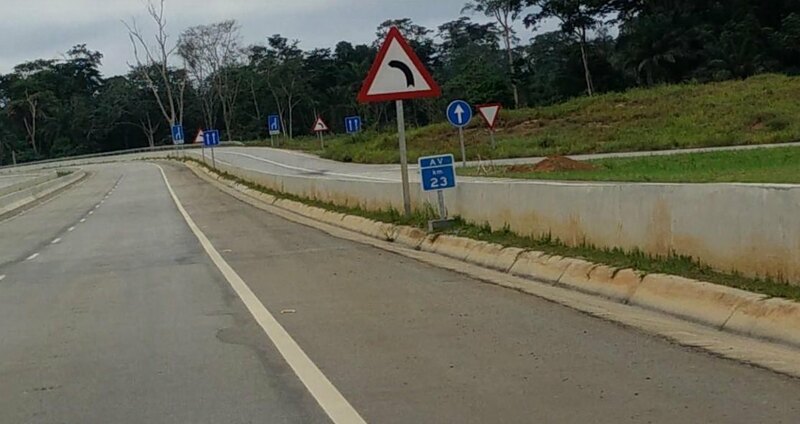 I know next to nothing about roads in Africa. 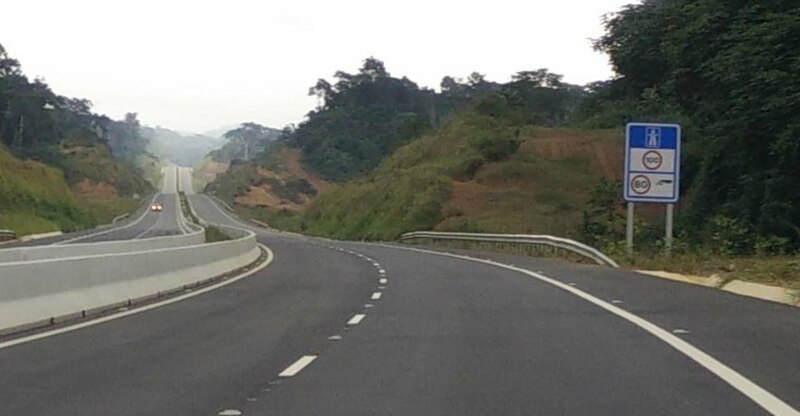 What countries in Africa have good roads? South Africa almost certainly has one of the best road systems in Africa. Roads are well maintained. Lots of markings, signals are well placed, there are toll roads and a lengthy system of freeways, there's a large national system of route numbers...basically, they seem to be on top of it. At least compared to some place like North Korea. 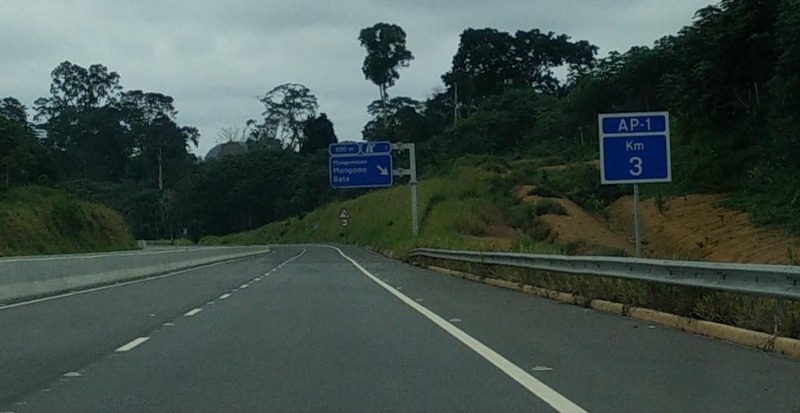 South Africa is part of some group of South African nations which, as it relates to roads, is basically their version of the Vienna Convention. So a lot of the countries in that area have similar signals, markings, and route numbering. And unlike places like India or Egypt, drivers follow markings and signals (although late at night, red light running is common due to grand theft autos). South Africa is part of some group of South African nations which, as it relates to roads, is basically their version of the Vienna Convention. Morocco has decent roads, Algeria too (though less good numbering), Mauritius too but that hardly counts as it's a small island. Namibia and Botswana have roads as good as South Africa's, but not the population/density for that to show up on a map. Egypt has been rapidly developing a network of six to eight lane freeways in the greater Cairo region in recent years, including a 400 kilometer beltway of Cairo. They are rapidly catching up with their neighbors on the Arabian peninsula. What countries in Africa has the worst roads? Both of the nations named Congo would definitely make the list. In 2010, this couple drove from Lubumbashi to Kinshasa (approximately 1450 miles) in a 4x4 Land Cruiser, and it took them 39 days. The Democratic Republic of the Congo has 80 million people and 1400 miles of paved roads. Even the most important cities are not linked by paved roads. The extensive river system of the Congo means that most freight moves by boat. But the economic activity is very low in most parts of the country so there is not a great demand for transportation. Most arid countries tend to have somewhat better roads because they run through easier terrain. The central portion of Africa has almost no functional road system with many 'route nationales' or equivalent being unpaved or only existing on maps but not in reality. 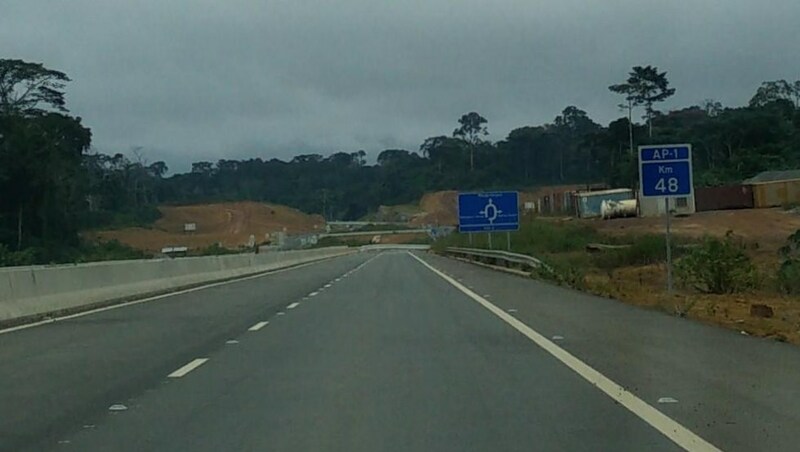 Some African countries have been developing expressways / freeways in recent years. Apart from countries in North Africa, these include Senegal, Ivory Coast, Equatorial Guinea, Ethiopia, Uganda, Kenya and Angola. Even Namibia is building a freeway from Windhoek to Okahandja. Now that was an interesting and eye-opening read. And here I thought driving in Mexico and Belize was difficult. I may have been thinking of the African Union, but I'm not sure the AU governs traffic lights. I'm guessing it doesn't, since South Africa is clearly a Vienna signatory. Lesotho, Swaziland, and Botswana have similar traffic lights and markings, hence my curiosty surrounding some sort of convention governing road standards in the south of Africa. 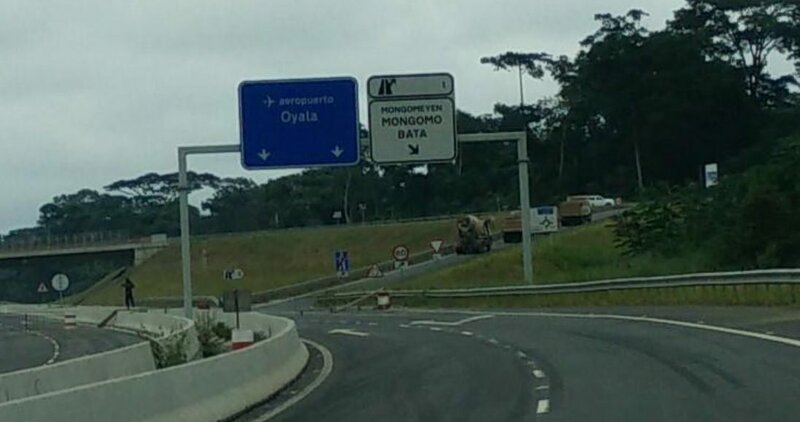 Equatorial Guinea built two freeways on the mainland, through undeveloped jungle. 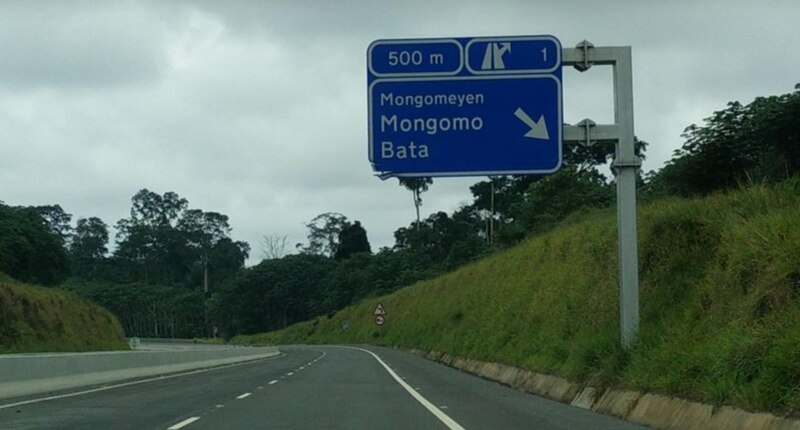 The longest freeway is a ~200 kilometer east-west route from Bata to Mongomo. 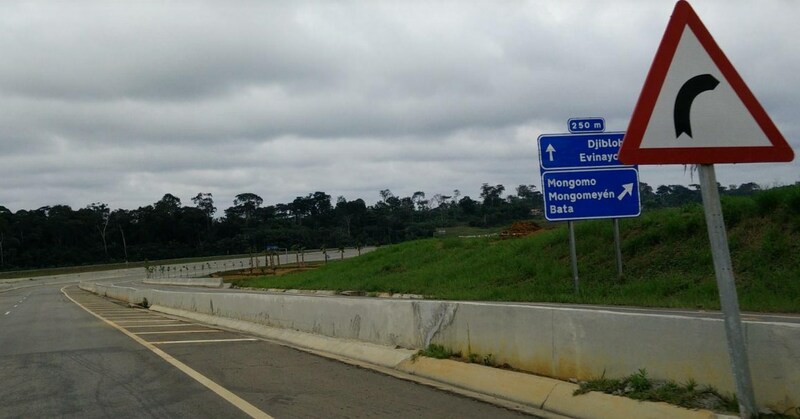 The second is a circa 85 kilometer route from the new capital city Oyala to Ebebiyin at the Cameroon border. They intersect with a large cloverleaf. 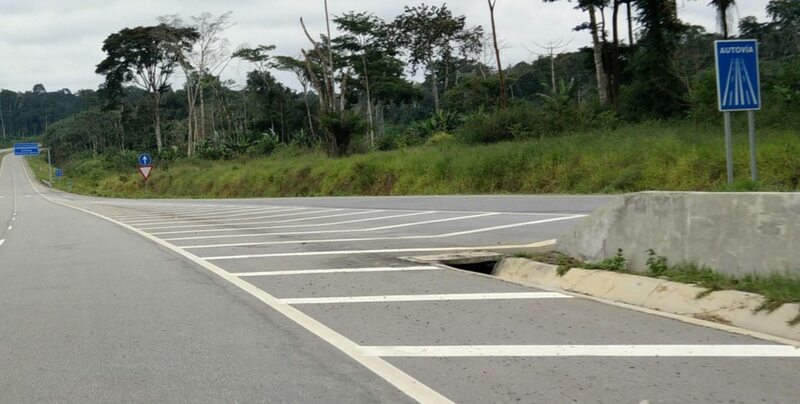 Very little is known about roads in Equatorial Guinea, in the early 2000s there were virtually no paved roads outside the capital city Malabo (which is located on an island 100 miles northwest of the continental part of the country). Equatorial Guinea has large oil reserves and has - on paper - the highest GDP per capita in Africa, but few of that oil money seems to make it down to the general population. Those three (and Namibia) were either colonies of (on behalf of the UK), or part of, South Africa until the 1960s (or 1990 in Namibia's case). And since then there has been close economic cooperation among them which might have some governance. Either that, or, more likely, the smaller countries have complied with the Vienna convention from back in the 60s when they weren't independent, even though they haven't signed the treaty. I spent the last few days reading this and it really was a great read. Thanks for sharing this link kphoger! I know what a Super 2 is, but what the hell is a Super 4? Roads with alternating passing lanes are called 2+1 roads, for what it's worth. 1450 miles over 39 days averages out to 1.55 miles per hour. Yikes. like a super 2 but with at least 2 each way. A logical four-lane extension of the Super Two as defined by roadgeeks would be a freeway with two lanes in both the up and down direction, but no median. We came across a truck that was parked in the middle of the track. Luckily the surrounding area was pretty open, so we could pass it. 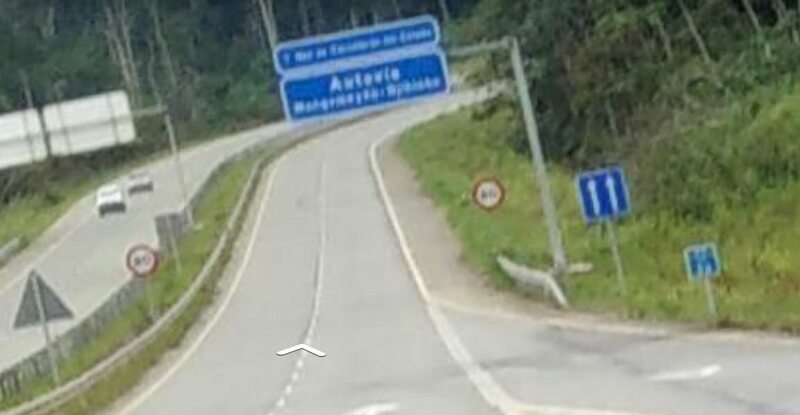 Us: "Bonjour, ca va?" - "Hi, how are you?" - Them: "Ca va un peu bien " - "I am doing a little bit ok" -> typical Congelese answer this! Us: "Votre vehicle est en panne?" - "Did you truck broke down?" - Them: "Oui, mais ils vient avec des nouveaux pièces" - "Yes, but they are coming with spare parts"
So we chat a bit and we ask what their problem exactly was. They left Ilebo for Kananga with a load of building materials for a rich guy in Kananga. Their engine had completely seized. Their cargo was transferred onto another truck and they had taken the engine out and transported the engine to Kinshasa to get it rebuild. In the meantime the truck 'crew' stayed onsite to safeguard the truck. But they were very happy as they just received news that the necessary parts for the engine were now ordered in Germany, so the parts would come arrive in Kinshasa in a few weeks time! A fascinating story, and they told it as if the was the most normal thing in the world. Fair enough. We said our goodbyes and asked them one more final question. How long had they been here? "Un peu plus qu'un an maintenant" - "Just over a year"
Thanks guys. I don't think I've ever seen one of these in person. Doesn't surprise me that ZA would use these, though. I think they were pretty hard-up for a few years thanks to apartheid. 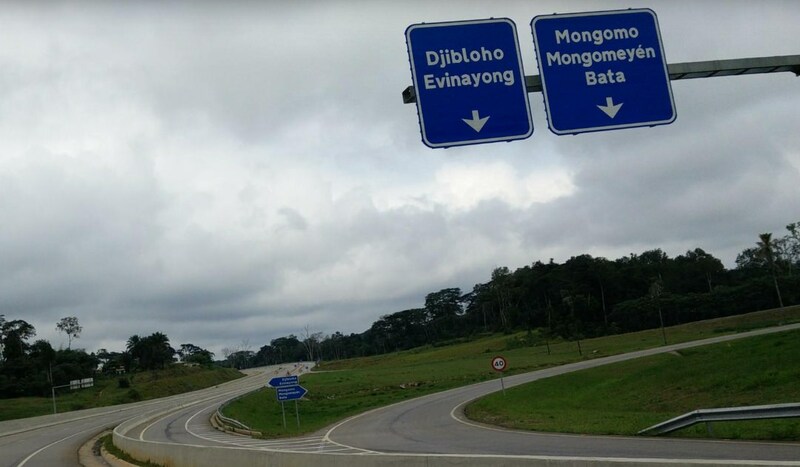 What does apartheid have to do with these roads? What an amazing read. Thanks for posting that! Because of this, South Africa was basely an island until the 90s. Crazy that a country could have something like Jim Crow for so long. I do want to correct myself. They did the drive in 2008, but didn't write the report until 2010. Because of [apartheid/UN sanctions], South Africa was basely an island until the 90s. Crazy that a country could have something like Jim Crow for so long. Unlike the US, where the black/colored population is the minority, South Africa is, by far, majority black/colored. The ruling party under Apartheid (the National Party) was worried about loosening laws on voting because the black/colored South Africans heavily favored the ANC, who were not allowed on the ballot. The moment laws were loosened, the ANC would take power, the current politicians would be out of a job, and they would no longer have a say in how the country was run. As far as I can tell, the National Party didn't really trust the black/colored South Africans to run the country, for fear that they would run them (white South Africans/Afrikaners) out of the country. Based on the corruption evident in today's ANC, their fears may have been slightly justified, even if they didn't run them out of the country (although anti-white sentiment is very evident both now and since Mandela took power). Although the country was arguably an island until the 90s, it was economically better off than it is now.